A burglary happens approximately every 18 seconds in the U.S. Each incident on average has a property loss of around $2,200. Homes without a security system are three times as likely to be targeted over homes that do have a security system. With the high frequency and costs of home theft, Jackson homeowners really should consider having a professional security system installed. Having a system implemented into your home has more benefits than keeping you and your loved ones safe. Usually, when you think of home security the first thing that comes to mind is how it keeps your home and all inside it safe from intruders. However, there are actually more benefits of having a home security system than you might think. Save on Homeowners Insurance: When someone breaks into your home and either steals your things or vandalizes your home you will have to file a claim with your insurance company. This process can be tedious, lengthy and a real pain in the rear. Insurance companies also don’t want to have to pay out to your claims. Most insurance agencies offer discounts on average of a 10-20 percent savings for having a comprehensive security system installed in your home. The catch here is that usually your insurance requires the system to be connected to local emergency services for alerts. Most security companies offer packages that include this type of service. Don’t forget to ask your insurance agent about possible coupons available for security companies of their liking. 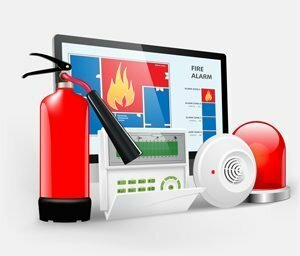 Protect Your Home and Family from Fires: Many security systems can integrate smoke detectors. When smoke is present, the detectors will be alerted and start the alarm. At the same time, they are synced to local authorities to alert them of the fire as well. According to the U.S. Fire Administration, in just thirty seconds a small fire can turn into a full-blown house fire. Those few precious seconds can mean the difference between your home being saved or not. There are also advanced smoke detectors that not only detect smoke, they are able to monitor the temperatures within the home. If the temperature begins to rise rapidly this is most likely signs of a fire and the detector will then begin the alarm procedures. Establish Peace of Mind: Just the simple fact of knowing you have the safety of a home security system protecting you and your loved ones is a priceless thing to have. You’ll be able to sleep better at night knowing there are extra precautions put in place. Another aspect to consider is the emotional trauma that can come from a home invasion or a home fire. Especially with children, these types of events can be traumatic and take time to heal from. The best way to deal with a burglary or fire is to prevent it from happening in the first place. Alert You of Carbon Monoxide Poisoning: Just like a smoke detector, a carbon monoxide detector alerts you of any leaks. Carbon monoxide poisoning is caused by a colorless and odorless gas that is found in combustion fumes found in stove, heating systems and gas ranges amongst other things. Since the gas is undetected by the human senses, the gas can buildup over time and that’s what causes you to be poisoned. The most serious cases end in death. Other symptoms can include dizziness, headache, chest pain, nausea and confusion. 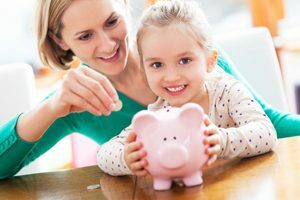 Reduce Your Utility Bill: Many security systems have the option to integrate your home thermostat into the overall system. By doing so this allows you to remotely access and control your thermostat. This is great for when you leave home and forget to turn the heat down. Pull up your phone app and turn the heat down, saving you money. On the other hand, if you’re gone on vacation and a cold spurt is blowing through, you’ll be able to turn the heat up to help avoid frozen pipes or pets! You can also sync your lights to your system to be able to turn them on and off as needed. This not only helps save you money on your utility bill but also helps it seem as if someone is home to help deter intruders. We will always loop back around to the number one benefit of having a system, and that’s the safety of you, your possessions and your loved ones. Having a professional system installed ensures your system is properly hooked up and working appropriately. It also gives you the chance to have a third party monitor your home as well. Being synced to local authorities and to the security companies monitoring system is a great benefit. If for some reason your system were to go offline, it sends an alert to your security company who then can either contact you or local authorities to ensure your safety. Another perk is the ability to have remote mobile control. Many security systems come with a mobile app feature. This allows you to monitor everything right from the cell phone in your hand. All of these are great reasons to integrate a professional security system into your home. Don’t put off getting a home security system. You never know when your home will be the target of a burglary or have the unfortunate event of a fire. Reach out to us here to talk about the options available to you to keep your home and family safe.